Sears, RBC, Shoppers Drug Mart, TD and LG, as well as dancing with and appearing in music videos for artists such as Howie D from the Backstreet Boys, Shawn Desman, Danny Fernandes, Blake McGrath, Aleesia, Massari, and many more. She has performed in many feature films, including “Cobu 3D” (choreographed by Tabitha and Napoleon), ABC’s “Desperately Seeking Santa”, and CTV’s “Turn the Beat Around”. She was also a featured dancer the Family Channels “Baxter”, and has performed in the CW’s “Nikita”, Global’s “Bomb Girls”, and was Ashley Tisdales body double in the CW’s “Hellcats”! She was also a resident dancer on CityTV’s Canada’s Got Talent. Bree has had great opportunites working behind the camera, and was assistant choreographer on Disney’s “Frenemies”, assistant choreographer to Nappytabs for “Cobu 3D”, as well as Staples “Back to School” commercial. She was also the choreographer for a CTV pilot, titled “Stay With Me”. 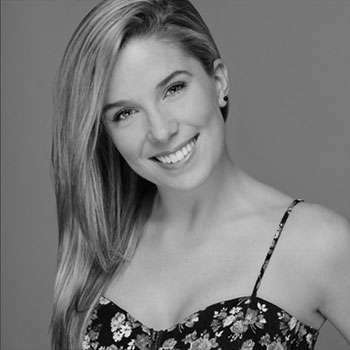 Bree was an ensemble dancer in the Canadian Opera Company’s performance of “Iphigenie en Tauride”, and traveled to Guadalajara to represent Toronto in the 2011 Pan Am Games. The highlight of Bree’s career thus far has been making Top 20 on Season 3 of CTV‘s So You Think You Can Dance Canada.